One of the changes made by Google Plus is suggestive of Facebook’s Timeline; namely, the option to upload a cover photo (at 940 by 180 pixels, a bit longer and shallower than Facebook’s). But that appears to be where the similarity ends. For one thing, users are free to design their cover images to include contact info/web addresses, advertising, calls to action, and other things prohibited by Facebook’s Terms of Service. And unlike Facebook, users have an option to NOT use a large cover picture. If they prefer, they can choose to display five smaller individual photos (110 x 110 pixels) instead. Google Plus also has enlarged the size of its actual profile picture to 250 by 250 pixels; interestingly, Facebook is planning to offer larger profile picture dimensions as well (160 by 160 pixels, up from 125 x 125). Chat and hangout features now appear on the right side of the profile; hangout can also be accessed via one of the tabs in the left column of the page. Chat can now be used across all of Google’s different services, including gmail. And we can now chat across those services with anyone in our circles, regardless of whether or not we have his/her email address. As of Tuesday, April 24th, Google also rolled out a share button, which can be added to our websites. Now, in addition to allowing visitors to “+1” our posts, they can share our content directly with their Google Plus followers. other than slightly enlarging its profile picture dimensions, the only other more recent change for Facebook users is that we can now download an app to make our profiles appear for our own viewing pleasure as they would on the Pinterest platform. I find that a curious offering, particularly as it doesn’t seem to serve any other purpose. Will the changes and choices now offered by Google Plus make you consider setting up or spending more time cultivating your presence on that platform? What are your thoughts on how they compare/contrast with Facebook’s recent changes – and the way those changes were implemented? Please share your thoughts in the comments section below. On the heels of all the new features afforded business pages by Facebook’s new Timeline layout, I am frequently asked, “Should I just forego my website altogether and conduct all my business through Facebook?” My answer is an immediate, resounding NO! Before I go any further, I want to affirm that it is not my intention to attack the platform. As far as business pages go, I think the Timeline format brings lots of good possibilities for marketing our goods and services. But there are several reasons why my answer is both instantaneous and negative. Ultimately, each one of them comes back to the issue of control. My first reason is exemplified by the very rollout of the new platform. It seems that Facebook is ALWAYS changing things around, adding new features that we need to learn to incorporate, dropping features we have relied on heavily, and altering the appearance/layout. While some occasional, more minor changes are healthy, consistency is the key for prospective/current clients. More radical change is unsettling for us as page owners; think how our clients must feel! Alas, we can’t control what Facebook chooses to do with its platform. My second rationale for advising against dropping one’s website in favor of a Facebook page involves both control and ownership. The Facebook honchos set the rules and regulations for users of their platform. In the past there has been some wiggle room regarding these terms of service. 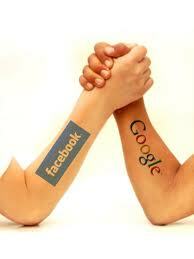 But as Facebook comes closer to its public offering, the powers that be have doubled down. This is an issue that goes beyond our not being free to present our companies and market our goods/services the way we would like to do. Worse, even the most minor perceived violation of terms of service can and has resulted in unannounced profile shut downs. And as anyone who has ever made an effort can attest, there is no means to contact, let alone appeal your case to, the platform administrators. Think of the catastrophe that would result if you lost all your business information, fans, notifications, blog posts, etc. What a completely devastating nightmare! Now think of that happening to a merchant who gave up his/her website and relied strictly on Facebook for business. With our own websites, we are the masters of our information. And, we are free to set up and market as we choose. My third reason again addresses ownership in the sense of how our messages are controlled by the frequent changes in Facebook’s algorithms. The most recent modifications heavily incentivize the use of the platform’s paid ads. Where it used to be that simply having our pages “liked” was enough to allow our business posts to be seen in the news feeds of those people who clicked our “like” buttons, there is no guarantee of that happening anymore. Because of the algorithm alterations, as well as the increased volume of “liked” pages, the best way to guarantee that our messages show up in those news feeds now is to purchase Facebook ads that point to the information on our pages. As Adam Justice wrote in his blog post The Truth About Facebook Advertising, “Facebook themselves don’t want brands to get immeasurable value from fan pages. If you could reach all interested users with a status update, there is really no reason to buy Facebook ads other than to generate new likes…the trend is to make brand pages less effective to elicit further advertisement…” Hence again, Facebook has ultimate say over how our messages are distributed, and how far their reach will extend. In light of the explanations I offer here, it is always my suggestion to keep our websites. 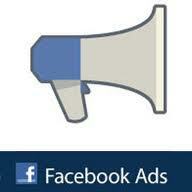 Facebook business pages are very valuable tools in our social media marketing toolboxes. They are an integral part of our social media campaigns. That is the way they should be viewed and utilized. What are your feelings regarding keeping our websites vs. giving them up and relying on our Facebook business pages to take their place? Please share your thoughts in the comments section below! While I tend not to be alarmist by nature, I must admit the whole idea spooks me a little, too. I plan to resist Timeline until I no longer have a choice, simply because I don’t care for it. But the idea that every single post I have ever offered up will be resurrected, and I will have a mere seven days to sift through years of activity, is daunting. Why on Earth would the Facebook gods save all that stuff?? The same goes for Google. I’m much more creeped out than happy that my searches are going to be custom tailored to my tastes as gleaned from past searches and reams of other personal data about me they have been collecting. 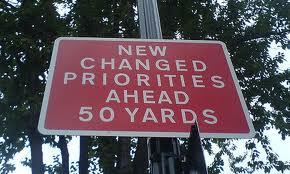 Too many ramifications above and beyond social media practicalities stand out in my mind. 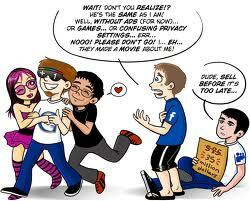 A few years ago I attended a seminar on internet safety for adolescents and their parents. We were scared silly as we watched the officers of the Sheriff Department’s Internet Crimes Division demonstrate how easily a would be predator could locate a child, narrowing down location to near pinpoint accuracy simply by asking three completely mundane, innocuous questions. Queries like “What time is it (narrowing down time zone),” “What’s the weather supposed to be tomorrow (approximate region within time zone),” and “What’s the name of your school’s soccer team (self explanatory, once location is determined)?” These days, merely knowing an approximate location is all that’s required, given the wonders of services like Google Places, Foursquare, and others that in a regular line of reasoning could be considered a boon to us all. Top that off with the fact that we all know how easily some of this world’s “shady” computer tech wizards can hack into systems; can breaking into these servers make tracking victims even easier? The same goes for those malevolent perpetrators of internet scams. How much easier might it become for them to ply their evil trade, what with all of our most sensitive data pretty much there for the taking by those unscrupulous beings? Lastly, when you think of burgeoning governments that overstep their bounds and intrude into every aspect of citizens’ private lives, wresting control over them and ultimately stripping them of their God given rights, one has to wonder what potential lays in all of our minutest life details resting in the hands of officials who have strong bonds with those who occupy the highest ranks of rogue governments the world over. I’d be surprised if this was NOT among the fears propelling the people who repel the notion that all their personal life details being cached is a good thing. Fears are not assuaged when Google says, “If you don’t like it, you can opt out of using our services.” Really? Is there a service anywhere on the worldwide web that is NOT connected to Google to one degree or another? Even if you DO manage to find something, what is the guarantee that the Google honchos really did purge your personal data upon your departure from their network? Bottom line to me: these privacy issues are here. They are inevitable. The only thing we can do is stay extra vigilant. Watch what you put out there going forward, and if possible try to keep track of what details in your past might crop up to haunt you. It’s not a comfortable feeling when you have no idea how much of your private lives the world is privy to. Do your best to avoid feeding the maw that would gobble up every detail, only to possibly regurgitate it all where you would rather it not happen. How do you feel about this whole privacy issue? Is it a concern to you? Please feel free to share your thoughts in the comments section below! Facebook’s New Timeline: Ready or Not, Here it Comes! It has been in beta for the past several months. 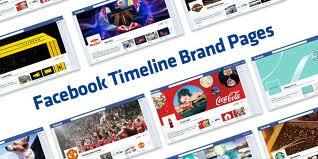 Now, at last, Facebook is preparing the official debut of its new platform version: Facebook Timeline. Some are eagerly awaiting Timeline’s arrival. Some are dreading yet another big upheaval, complete with new things to learn and navigate. In any case, if my information serves me right, Facebook Timeline will be rolled out officially on December 21st. For those Facebook users who are apprehensive about what the newest platform version has in store for them, I have compiled three of the best tutorials that I have seen. All are presented by giants in the social media industry who are well known for their credibility as well as their eagerness to help the rest of us navigate these scary tides of platform upheaval. With the knowledge I have gained thanks to Olga Lishansky and Social Media Examiner’s Andrea Vahl, I am confident that I will be ready for December 21st. By bringing them together and sharing them here, I hope that YOU will be able to make an easy transition as well! What do YOU think of Facebook’s new Timeline? Good? Bad? Indifferent? Let’s talk about it!